// docs - What is the pyup bot? The bot helps you to keep track of your Python dependency updates by sending you automated Pull Requests to your repo. This allows you to manage your dependencies on a central place with the rest of your code. Each update will have its own Pull Request where you are able to discuss the update with your team and make changes if neccessary. If you are working on a large codebase with a lot of dependencies, this makes it extremely easy to see what has changed later on. 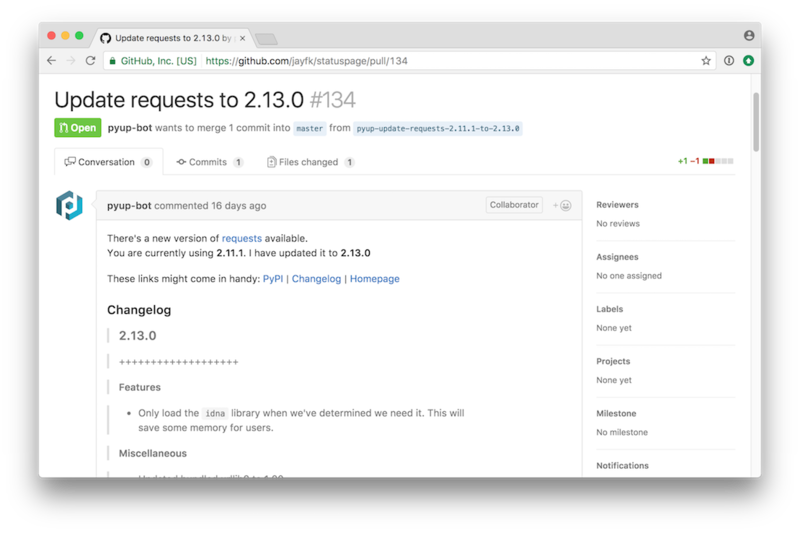 When we send you a pull request, we include all the info you need to make a informed decision about what is being updated. Most of the time even with a changelog. Dependency updates will break your code from time to time. 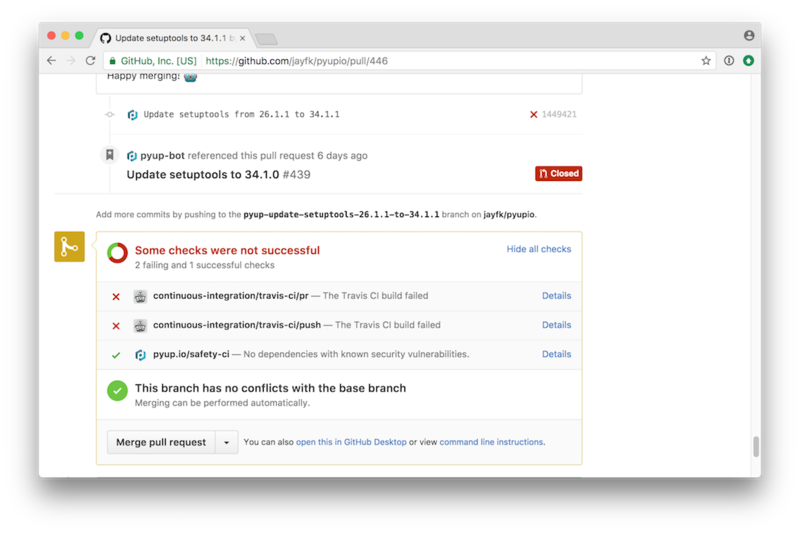 A pull request will run your tests automatically, allowing you to see what breaks - and why.